Women’s Day is coming, the day of flowers for the woman you love. It is time to surprise and make your special someone happy. 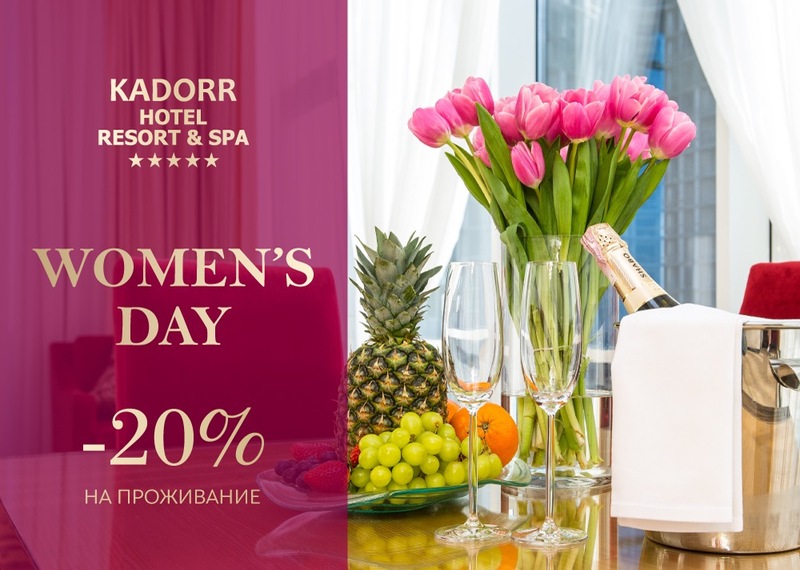 Indulge the one you love and celebrate Women’s Day in KADORR Hotel Resort & SPA 5*. Access to Fitness KADORR health and relaxation zone (Hammam, sauna, fitness center). Offer valid from March 5 to March 10, 2018! Book now: +380 (48) 705 99 00 .